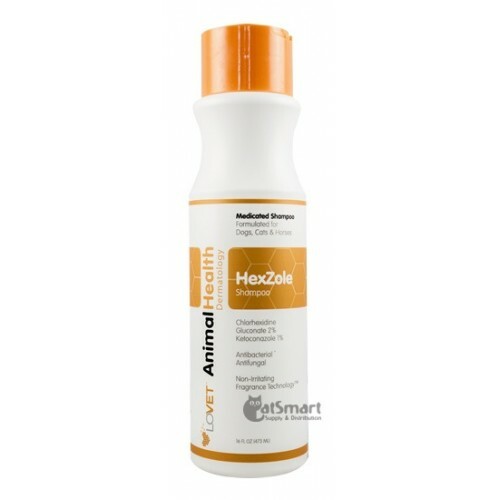 Our HexZole Shampoos and Flushes are used to effectively treat dermatitis or skin infections on dogs, cats or horses. It is used to manage skin conditions responsive to ketoconazole and chlorhexidine. Relieve their symptoms AND enjoy the refreshing scent of Summer Citrus. Formulated for dogs, cats and horses. Chlorhexidine Gluconate is a broad-spectrum antibacterial ingredient most commonly used as an effective skin cleanser for wounds, preoperative skin preparation and surgical scrubs. 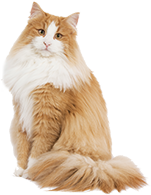 Bacterial and yeast infections cause many skin problems in dogs, cats and horses that can be controlled with antiseptic shampoo containing Chlorhexidine. Symptoms of these infections include itching, pimples, bad odors and rashes. Chlorhexidine treats these symptoms and helps prevent skin areas from getting infected. Ketoconazole is an antifungal ingredient that works by slowing the growth of yeast and fungi that cause infection. It is also used to control flaking, scaling, and itching of the skin caused by dandruff. Combined together, Chlorhexidine and Ketoconazole offers a broad-spectrum antiseptic activity.